Obsession is a good thing, yes? Another enjoyable Sunday evening spent with my friends and guildmates doing missions. We regularly party up with two other guilds and share the missions between us, it’s like one nice big extended family. This week we succeeded in all missions including tracking down our bounties (including that pesky Prisoner 1141), rescuing the Quaggans of Mount Maelstrom, besting the maze in Proxemics Lab and completing the Ghost Wolf run. 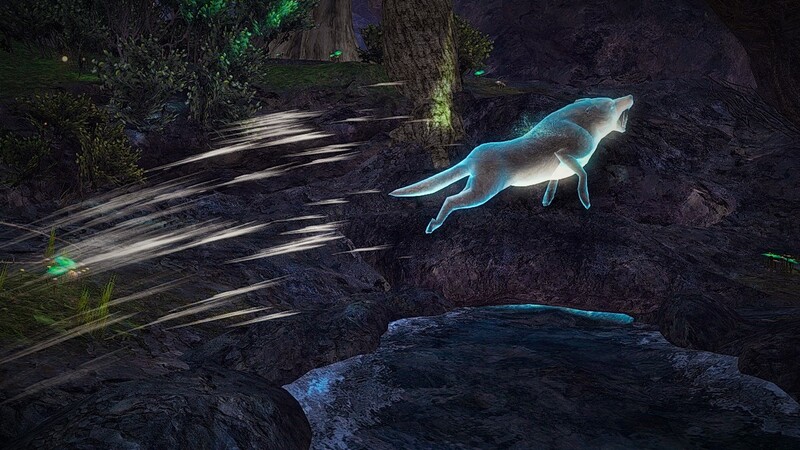 Doing it ‘Ghost Wolf Style’. Sunday night is Guild Mission night! 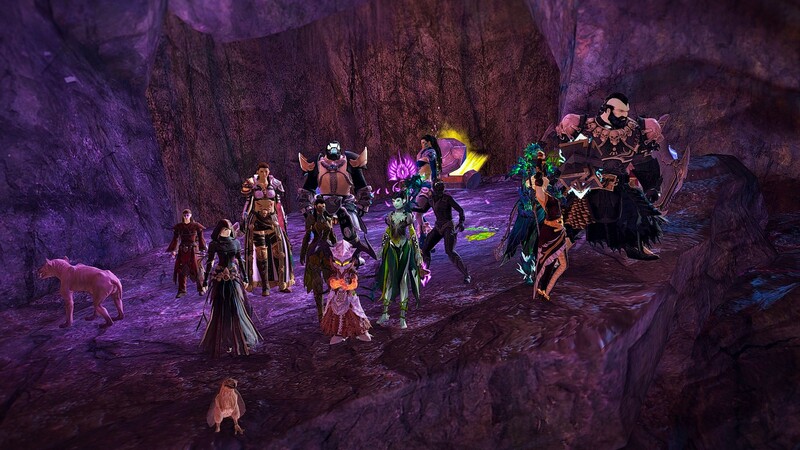 After a successful Branded for Termination guild challenge in the Fields of Ruin we stuck around to do the Branded Mine jumping puzzle – a few deaths and a mesmer portal later we were all at the top! We also slaughtered poor Poobadoo, bested the ghosts of the Langmar Estate and ran with the pack as ghost wolves. I love my Tyrian family and friends, they are the reason I keep coming back for more.